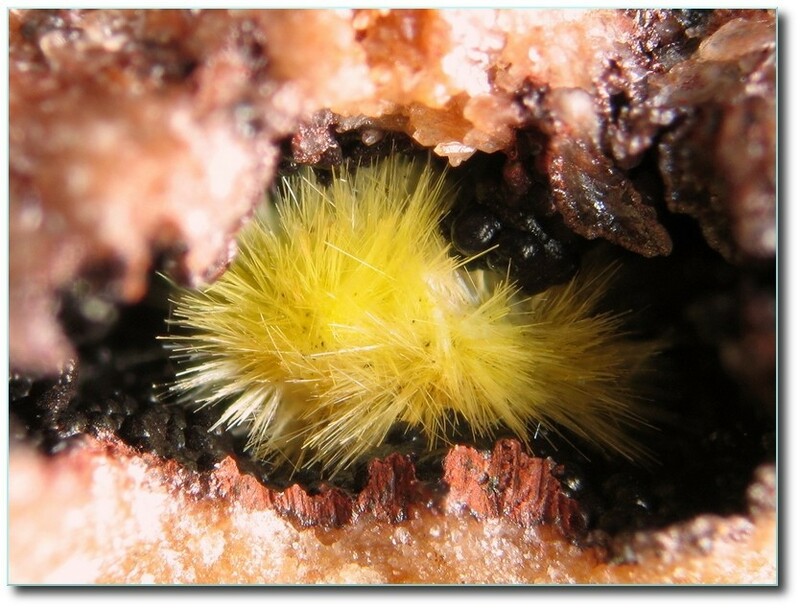 Uranophane: Mineral information, data and localities. Named in 1853 by Christian Friedrich Martin Websky for the chemical composition containing URANium plus Greek φαινερθαι "phainesthai", to appear, in allusion to the uncertainty of its composition as originally determined. Composite needles, stellate aggregates, fibrous or felted crusts, massive. Uraninite 102 photos of Uranophane associated with Uraninite on mindat.org. Meta-autunite 36 photos of Uranophane associated with Meta-autunite on mindat.org. Gummite 21 photos of Uranophane associated with Gummite on mindat.org. Autunite 21 photos of Uranophane associated with Autunite on mindat.org. Becquerelite 19 photos of Uranophane associated with Becquerelite on mindat.org. Fourmarierite 17 photos of Uranophane associated with Fourmarierite on mindat.org. Wölsendorfite 16 photos of Uranophane associated with Wölsendorfite on mindat.org. Zircon 15 photos of Uranophane associated with Zircon on mindat.org. Rutherfordine 15 photos of Uranophane associated with Rutherfordine on mindat.org. Vandendriesscheite 14 photos of Uranophane associated with Vandendriesscheite on mindat.org. Zeits. deutsche Geol.Ges. (1853), 5, 427. American Mineralogist (1939): 24: 324-328. Ginderow, D. (1988) Structure de l'uranophane alpha, Ca(UO2)2(SiO3OH)2.5H2O. Acta Crystallographica: C44: 421-424. American Mineralogist (1986): 71: 1489-1493. The following Uranophane specimens are currently listed for sale on minfind.com. Victorio Angelelli (1958). Los Minerales de Uranio, sus Yacimientos y Prospección. Departamento de Geología y Minería. Comisión Nacional de Energía Atómica. ; Lucero, H. N., Díez, D. y Timoneri, A. (1963). Contribución al conocimiento de algunas manifestaciones uraníferas en la provincias de Córdoba, La Rioja y San Luis. Anales de las segundas Jornadas Geológicas Argentinas, Salta, Argentina. C. T. Friz, R. Rodrigo y P. N. Stipanicic. Recursos y Posibilidades Uraníferas en Argentina. Session 2.11 P/405. Comisión Nacional de Energía Atómica. Argentina. Pegmatite showing is exposed by an open-cut 46 m long. ALEXANDRE, P., PETERSON, R.C., KYSER, K., LAYTON-MATHEWS, D. & JOY, B. (2014) High-Cr minerals from the Matoush uranium deposit in the Otish Basin, Quebec, Canada. Canadian Mineralogist 52, 61-75. Long Lu, Fanrong Chen, and Rucheng Wang (2006): Geological Review 71(4), 562-569; Long Lu, Fanrong Chen, R.C. Ewing, and Rucheng Wang (2007): Radiochimica Acta 95(1), 25-32. - Jian-Wei Li, Mei-Fou Zhou, Xian-Fu Li, Zi-Jin Li, and Zhao-Ren Fu (2002): Mineralium Deposita 37, 213-225. Min, M.-Z., Luo, X.-Z., Du, G.-S., He, B.-A., and Campbell, A.R. (1999): Ore Geology Reviews 14, 105-127. Ondrus, P., Veselovsky, F., Hlousek, J., Skala, R., Vavrin, I., Fryda, J., ... & Gabasova, A. (1997). Secondary minerals of the Jáchymov (Joachimsthal) ore district. Journal of GEOsciences, 42(4), 3-76. Pauliš, P., Kopecký, S., Hak, J.: Uranofán a ryzí stříbro z uranového výskytu Rádlo u Liberce. Bulletin mineralogicko-petrografického oddělení Národního muzea v Praze, 2008, vol. 16, 2, 243. Pauliš P., Jebavá, I.: Bertrandit a uranofán z lomu Wagner v Ruprechticích. Minerál, 2013, roč. 21, č. 4, s. 305-310. Pauliš, P., Kopecký, S.: Uranofán z uranového ložiska Chotěboř, sv. od Havlíčkova Brodu. Bulletin mineralogicko-petrografického oddělení Národního muzea v Praze, 2008, vol. 16, 2, 246. Mineral. Deposita 43 (2008) 933-944. Ibrahim, M. E., Saleh, G. M., Dawood, N. A., & Aly, G. M. (2013). Ocellar lamprophyre dyke bearing mineralization, Wadi Nugrus, Eastern Desert, Egypt: Geology, mineralogy and geochemical implications. Journal of Geology and Mining Research, 2(4), 74-86. Hamdy H. Abd El-Naby (2009): High and low temperature alteration of uranium and thorium minerals, Um Ara granites, south Eastern Desert, Egypt. Ore Geology Reviews 35, 436-446. Berbain, C., Favreau, G. & Aymar, J. (2005): Mines et minéraux des Pyrénées-Orientales et des Corbières, Association Française de Microminéralogie Ed., 29. Guitard, G. (2010): Catalogue raisonné de la collection de minéralogie régionale, C.E.R.P. de Tautavel, 127. Pierrot, R., Picot, P., Feraud, J., and Vernet, J. (1974) Inventaire minéralogique de la France n°4. Alpes Maritimes. Editions B.R.G.M, Paris, 168 pp. ; Belot, Victor R. (1978) Guide des minéraux, coquillages et fossiles: où les trouver en France, comment les reconnaître et les collectionner (Guides Horay). Pierre Horay (Ed. ), 224 pp. Banti, M., Banti, R., Sorlini, A. & Tonali, F. (2011). Il filone della Malpensata a Piona (LC). Un classico tra storia e novità. Rivista Mineralogica Italiana, 1/2011, 10-28; Vignola P., Fransolet A.-M., Guastoni A., Appiani R. (2011): Le pegmatiti di Piona. Recenti studi sui filoni Malpensata, Luna e Sommafiume. Riv. Mineral. Ital., 35, 1, 30-38.
. Ravagnani - I giacimenti uraniferi italiani - Gruppo Mineralogico Lombardo - Museo Civico di Storia Naturale di Milano - 1974 ; Piccoli, G. C., Maletto, G., Bosio, P., & Lombardo, B. (2007). Minerali del Piemonte e della Valle d'Aosta. Associazione Amici del Museo F. Eusebio - Alba, 607 pag. Piccoli, G.C., Maletto, G., Bosio, P., Lombardo, B. (2007): Minerali del Piemonte e della Valle d'Aosta. Amici del Museo "F. Eusebio" di Alba, Ed., Alba, 607 pp. Mattioli, V. (1987 c): Novità mineralogiche in Val d'Ossola. Riv. Mineral. Ital., 11, 1 (1-1987), 1-11. Gamboni, A. & Gamboni, T. (1998): Babingtonite e "Granati" delle pegmatiti granitiche della Gallura, Sardegna nord-orientale. Rivista Mineralogica Italiana, 4/1998. - Ravagnani D.(1974): I giacimenti uraniferi italiani e i loro minerali. Gruppo Mineralogico Italiano Ed., Milano (pagg.188). Anthony, J.W., Bideaux, R.A., Bladh, K.W., and Nichols, M.C. (1990) Handbook of Mineralogy. http://www.swri.org/4org/d20/ghs/PBlanca/mineral.html; Econ Geol (1991) 86:233-248; Wong, V., Goodell, P. C., & Anthony, E. Y. (1999, January). Characterization of U-series disequilibria at the Pena Blanca natural analogue site, Chihuahua, Mexico. In MRS Proceedings (Vol. 556, p. 801). Cambridge University Press. Radusinovic, D. (1974). Zletovska Reka uranium deposit. In IAEA Symposium on the formation of uranium ore deposits. Athens, Greece (pp. 593-601). Sverdrup, T.L.,Thorkildsen, C.D. & Bjørlykke, H. (1967): Uran og Thorium i Norge. Norges Geologiske Undersøkelse 250A, 3-31; Geological survey of Norway. The Ore Database. Orrefjell. Deposit Area 1923 - 002.
ⓘ Macusani Uranium deposits (Quenamari Meseta) ? Zeits. deutsche Geol.Ges. (1853) 5, 427; Mochnacka, K. (1982): Polymetallic mineralization of Eastern Metamorphic Cover of the Karkonosze Massif and its relation with geologic evolution of region. Biuletyn Instytutu Geologicznego, XXV/341, 273-289 (in Polish). Domańska-Siuda J. 2010: New data on secondary uranium minerals from the Western Sudetes (Poland) - preliminary report. Mineralogia - Special Papers, vol. 37, 77; Mochnacka, K., Oberc-Dziedzic, T., Mayer, W., & Pieczka, A. (2015). Ore mineralization related to geological evolution of the Karkonosze–Izera Massif (the Sudetes, Poland)—Towards a model. Ore Geology Reviews, 64, 215-238. Teixeira, R., Antunes, I.M., Neiva, A.M.R. (2010) Uranium minerals from the Picoto uranium mine area, central Portugal. Goldschmidt Conference Abstracts 2010. Polák Ľ., Ferenc Š., Biroň A., Sýkorová M. (2016): Uranofán zo Seliec pri Banskej Bystrici (Starohorské vrchy, Slovenská republika). Bulletin Mineralogicko-Petrologického Oddělení Národního Muzea, 24, 2, 178-182. Števko M., Sejkora J., Malíková R. (2018): Nové údaje o supergénnych mineráloch z ložiska Banská Štiavnica (Slovenská republika). Bull. Mineral. Petrolog., 26, 1, 90-101 (in Slovak with English abstract). Stalder, H. A., Wagner, A., Graeser, S. and Stuker, P. (1998): Mineralienlexikon der Schweiz. Wepf (Basel), p. 105, 419. Anthony, J.W., et al (1995), Mineralogy of Arizona, 3rd.ed. : 407; Frondel, C.C. (1958), Systematic Mineralogy of Uranium & Thorium, USGS Bull. 1064: 300; Galbraith, F.W. & D.J. 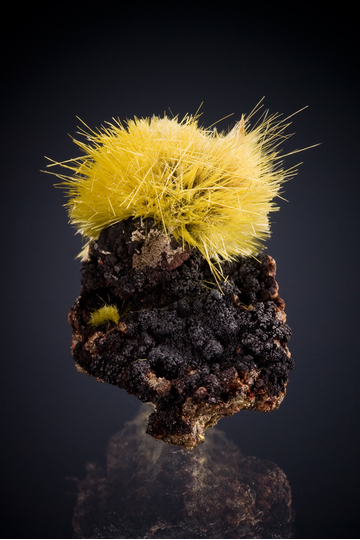 Brennan (1959), Minerals of AZ: 111. Anthony, J.W., et al (1995), Mineralogy of Arizona, 3rd.ed. : 407; Witkind, I.J. & R.E. Thaden (1963), Geology and uranium-vanadium deposits of the Monument Valley area, Apache and Navajo Cos., AZ: 119. Granger, H.C. & R.B. Raup (1962), Recon. Study of Uranium deposits in AZ, USGS Bull. 1147A: A3-A4. Anthony, J.W., et al (1995), Mineralogy of Arizona, 3rd.ed. : 295, 399, 408; Wenrich, K.J. & H.B. Sutphin (1989), Lithotectonic setting necessary for formation of a uranium-rich, solution-collapse breccia-pipe, Grand Canyon region, AZ, USGS Open File Rept. 89-0173. Anthony, J.W., et al (1995), Mineralogy of Arizona, 3rd.ed. : 407-408; Holland, H.D., et al (1958), The use of leachable uranium in geochemical prospecting on the Colorado Plateau-II, the distribution of leachable uranium in surface samples in the vicinity of orebodies, Econ.Geol. : 53: 190-209.; Bollin, E. M., & Kerr, P. F. (1958). Uranium mineralization near Cameron, Arizona. In Guidebook of the Black Mesa Basin, northern Arizona: New Mexico Geological Society, 9th Field Conference Society Guidebook (Vol. 9, pp. 161-168). Peirce, H.W., S.B. Keith and J.C.Wilt (1970), Coal, oil, natural gas, helium, and uranium in Arizona, AZ Bur. Mines Bull. 182: 118, 214-234; Hinkley, D.N. (1955), Reconnaissance of the Cameron area, Coconino Co., AZ, US Atomic Energy Comm. USAEC-RME-81. Hinkley, D.N. (1955), Reconnaissance of the Cameron area, Coconino Co., AZ, US Atomic Energy Comm. USAEC-RME-81; Peirce, H.W., S.B. Keith and J.C.Wilt (1970), Coal, oil, natural gas, helium, and uranium in Arizona, AZ Bur. Mines Bull. 182: 118, 214-234. Peirce, H.W., S.B. Keith and J.C.Wilt (1970), Coal, oil, natural gas, helium, and uranium in Arizona, AZ Bur. Mines Bull. 182; 118, 214-234; Hinkley, D.N. (1955), Reconnaissance of the Cameron area, Coconino Co., AZ, US Atomic Energy Comm. USAEC-RME-81; Bollin & Kerr (1958), Guidebook for New Mexico Geol.Soc., 9th. Field Conference F.P. Peirce, H.W., S.B. Keith and J.C.Wilt (1970), Coal, oil, natural gas, helium, and uranium in Arizona, AZ Bur. Mines Bull. 182: 118, 214-234; Bollin & Kerr (1958), Guidebook for New Mexico Geol.Soc., 9th. Field Conference F.P. 164-168. Peirce, H.W., S.B. Keith and J.C.Wilt (1970), Coal, oil, natural gas, helium, and uranium in Arizona, AZ Bur. Mines Bull. 182: 214-234; Hinkley, D.N. (1955), Reconnaissance of the Cameron area, Coconino Co., AZ, US Atomic Energy Comm. USAEC-RME-81. Anthony, J.W., et al (1995), Mineralogy of Arizona, 3rd.ed. : 124, 408; Granger, H.C. & R.B. Raup (1969), Geology of uranium deposits in the Dripping Spring quartzite, Gila Co., AZ, USGS PP 595; Frondel, C.C. (1958), Systematic mineralogy of uranium and thorium, USGS Bull. 1064: 247; Galbraith, F.W. & D.J. Brennan (1959), Minerals of AZ: 75. Anthony, J.W., et al (1995), Mineralogy of Arizona, 3rd.ed. : 408; Granger, H.C. & R.B. Raup (1959), Uranium deposits in the Dripping Spring Quartzite, USGS Bull. 1046-P: 466-467; Granger, H.C. & R.B. Raup (1969), Geology of uranium deposits in the Dripping Spring quartzite, Gila Co., AZ, USGS PP 595. MRDS database Dep. ID #10092684, MRDS ID #M800287. Granger, H.C. & R.B. Raup (1959), Uranium deposits in the Dripping Spring Quartzite, Gila Co., AZ, USGS Bull. 1046-P: 468-469. Granger, H.C. & R.B. Raup (1959), Uranium Deposits in the Dripping Spring Quartzite, Gila Co., AZ, USGS Bull. 1046-P: 470-472. Granger, H.C. & R.B. Raup (1959), Uranium deposits in Dripping Spring Quartzite, Gila Co., AZ, USGS Bull. 1046-P: 446, 464-466. MRDS database Dep. ID #10048208, MRDS ID #M800286. MRDS database Dep. ID #10048206, MRDS ID #M800284. MRDS database Dep. ID #10026885, MRDS ID M000778. Anthony, J.W., et al (1995), Mineralogy of Arizona, 3rd. ed. : 124, 399, 408; Wenrich, K.J. & Sutphin, H.B. (1988), Recognition of breccia pipes in northern AZ, AZ Bur. Geol. Min. Tech. Fieldnotes 18:1-5, 11. MRDS database Dep. ID file #10039666, MRDS ID #M050617. Granger, H.C. & R.B. Raup (1962), A reconnaissance study of uranium deposits in Arizona, USGS Bull. 1147-A: A34-A36. Keith, Stanton B. (1974), AZ Bur. of Geol. & Min. Technology, Geol. Survey Br. Bull. 189, Index of Mining Properties in Pima County, AZ: 140 (Table 4); Granger, H.C. & R.B. Raup (1962), Reconnaissance study of uranium deposits in AZ, USGS Bull. 1147A: A29; Arizona Bureau of Mines file data. Anthony, J.W., et al (1995), Mineralogy of Arizona, 3rd.ed. : 408; Williams, S.A. (1960), A new occurrence of allanite in the Quijotoa Mountains, Pima Co., AZ, AZ Geol. Soc. Digest: 3: 46-51. MRDS database Dep. ID file #10095789, MRDS ID #800307. Galbraith, F.W. & Brennan (1959), Minerals of AZ: 35, 75, 111. Wright, R.J. (1951) Annie Laurie prospect, Santa Cruz County, Arizona: U.S. Atomic Energy Commission Raw Material Report RMO-677, 8 p.
Keith, Stanton B. (1975), Arizona Bureau of Mines Bull. 191, Index of Mining Properties in Santa Cruz County Arizona: 72 (Table 4); US Atomic Energy Commission Prelim. Reconnaisance Report A-R-2 (1953); Granger & Raup (1962): 42-44; Nelson (1963); Arizona Bureau of Mines file data. Ref. : Keith, Stanton B. (1975), Arizona Bureau of Mines Bull. 191, Index of Mining Properties in Santa Cruz County Arizona: 72 (Table 4); US Atomic Energy Commission Prelim. Reconnaisance Report D-441 (1952); Anthony, J.W., et al (1995), Mineralogy of Arizona, 3rd.ed. : 209, 266; Granger, H.C. & R.B. Raup (1962), Recon. Study of Uranium Deposits in AZ, USGS Bull. 1147-A: 42-44; Nelson (1963); Arizona Bureau of Mines file data. Anthony, J.W., et al (1995), Mineralogy of Arizona, 3rd.ed. : 124, 408; Robinson, R.L. (1954), Duranium claims Santa Cruz Co., AZ, US Atomic Energy Comm. Preliminary Recon. Rept. A-P-285. Granger, H.C. & R.B. Raup (1962), Reconnaissance study of uranium deposits in Arizona, USGS Bull. 1147A: A46. Anthony, J.W., et al (1995), Mineralogy of Arizona, 3rd.ed. : 309; Granger, H.C. & R.B. Raup (1962), Reconnaissance study of uranium deposits in AZ, USGS Bull. 1147-A: A-47. MRDS database Dep. ID #10027540, MRDS ID #M003305. Keith, Stanton B. (1978) State of Arizona Bureau of Geology and Mineral Technology, Geol. Sur. Br. Bull. 192, Index of Mining Properties in Yuma Co., Arizona: 164 (Table 4); US Atomic Energy Commission Prelim. Reconnaisance Reports; Arizona Bureau of Mines file data. Keith, Stanton B. (1978) State of Arizona Bureau of Geology and Mineral Technology, Geol. Sur. Br. Bull. 192, Index of Mining Properties in Yuma Co., Arizona: 164 (Table 4). Murdoch, Joseph & Robert W. Webb (1966), Minerals of California, Centennial Volume (1866-1966): California Division Mines & Geology Bulletin 189: 378; California Division of Mines and Geology specimen No. 21625. Outerbridge, W.F., et al (1960), Weeksite, a new uranium silicate from the Thomas Range, Juab County, Utah, American Mineralogist: 45: 39-52; Pemberton, H. Earl (1983), Minerals of California; Van Nostrand Reinholt Press: 517. Troxel, Bennie Wyatt & P.K. Morton (1962), Mines and mineral resources of Kern County, California: California Division Mines & Geology County Report 1, 370 pp. : 330, 332; Murdoch, Joseph & Robert W. Webb (1966), Minerals of California, Centennial Volume (1866-1966): California Division Mines & Geology Bulletin 189: 378; Pemberton, H. Earl (1983), Minerals of California; Van Nostrand Reinholt Press: 516. Troxel, Bennie Wyatt & P.K. Morton (1962), Mines and mineral resources of Kern County, California: California Division Mines & Geology County Report 1, 370 pp. : 330, 333; Pemberton, H. Earl (1983), Minerals of California; Van Nostrand Reinholt Press: 516. Troxel, Bennie Wyatt, Stinson, M.C., and Chesterman, C.W. (1957) Uranium. California Division of Mines Bulletin 176: 677; Troxel, Bennie Wyatt & P.K. Morton (1962), Mines and mineral resources of Kern County, California: California Division Mines & Geology County Report 1, 370 pp. : 335-336, 344; Pemberton, H. Earl (1983), Minerals of California; Van Nostrand Reinholt Press: 327, 516. Troxel, Bennie Wyatt & P.K. Morton (1962), Mines and mineral resources of Kern County, California: California Division Mines & Geology County Report No. 1, 370 pp. : 333; Pemberton, H. Earl (1983), Minerals of California; Van Nostrand Reinholt Press: 516. Rinehart, Charles Dean & Donald C. Ross (1964), Geology and mineral deposits of the Mount Morrison quadrangle, Sierra Nevada, California: USGS PP 385, 106 pp. : 100; Murdoch, Joseph & Robert W. Webb (1966), Minerals of California, Centennial Volume (1866-1966): California Division Mines & Geology Bulletin 189: 378, 379; Pemberton, H. Earl (1983), Minerals of California; Van Nostrand Reinholt Press: 516. Saul, R.B., Evans, J.R., and Gray, C.H. (1970) Mines and mineral resources of Riverside County. California Division of Mines and Geology County Report 9. Unpublished manuscript: 1141, 1142; Pemberton, H. Earl (1983), Minerals of California; Van Nostrand Reinholt Press: 329, 516. Chesterman, C.W. & O.E. Bowen, Jr. (1958), Fluoborite from San Bernardino County, California (abstract): Geological Society of America Bulletin: 69: 1678-1679; Murdoch, Joseph & Robert W. Webb (1966), Minerals of California, Centennial Volume (1866-1966): California Division Mines & Geology Bulletin 189: 104, 108, 379; Flamini, A. (1968) La fluoborite di Hope, San Bernardino County, California. Periodico di Mineralgia: 37: 129; Pemberton, H. Earl (1983), Minerals of California; Van Nostrand Reinholt Press: 516.; Otton, James K.; Glanzman, Richard K.; Brenner-Tourtelot, Elizabeth F. (1980) Uranium, rare-earth and thorium mineralization at the Hope Mine, eastern Bristol Mountains, San Bernardino County, California. USGS Open file report 80-821. Murdoch, Joseph & Robert W. Webb (1966), Minerals of California, Centennial Volume (1866-1966): California Division Mines & Geology Bulletin 189: 379. Pemberton, H. Earl (1983), Minerals of California; Van Nostrand Reinholt Press: 516.
ⓘ Bonzo No. 1 Claim ? Ryerson, Kathleen. (1976) Rock Hound's Guide to Connecticut. Januzzi, Ronald E. (1976), The Mineral Localities of Connecticut and Southeastern New York State. Mineralogical Press, Danbury, Connecticut: 119.
ⓘ Interstate 95 locality ? ⓘ Red Hill quarries ? Thompson, W.B., et.al., 1998, Maine Mineral Localites, 3rd edition, Maine Geological Survey, Augusta. 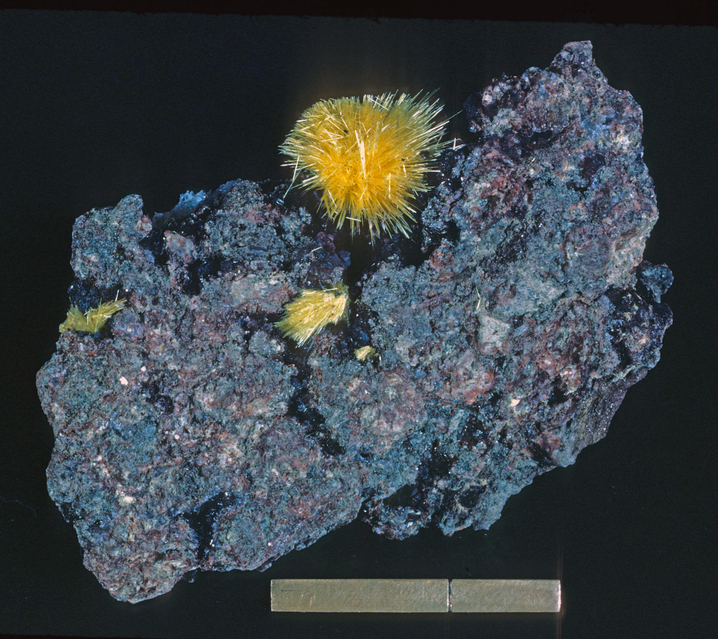 Thompson, W.B., et.al., 1991, Maine Mineral Localities, 2nd edtion, Maine Geological Survey, Augusta. Gleba, 1978. Mass. Min & Fossil Loc. Cannon Microprobe specimen, # D-2. ⓘ K D claims ? ⓘ First Chance prospect ? ⓘ Sage Hen Springs prospect ? ⓘ Uranium Lode claim ? ⓘ Big Mine (Davis Mine; Gilsum & Bowers Mine; Golding-Keene Mine; Rhoda Mine; Tripp No. 2 Mine; Victory Mine) ? Frondel, C.: Minerals of Franklin & Sterling Hill, NJ - a checklist (1972); Cook, D.K. : Recent work on the minerals of Franklin and Sterling Hill, NJ: Min.Rec:4:62-66 (1973); Dunn(1995):Pt3:384.
ⓘ Fort George (192nd Street & Audubon Avenue) ? Specimens in former Green's Mineral Museum and Shop; others. ⓘ Lucky Lass Mine ? ⓘ Penn Haven Junction ? Bullock, K.C. (1981) Minerals and Mineral Localities of Utah. Utah Geological and Mineral Survey, Utah Department of Natural Resources, Bulletin 117, 177 pages and map. UGMS Bull 117 Minerals and Mineral Localities of Utah; U.S. Geological Survey, 2005, Mineral Resources Data System: U.S. Geological Survey, Reston, Virginia. ; U.S. Geological Survey (2005) Mineral Resources Data System: U.S. Geological Survey, Reston, Virginia. Rocks & Minerals 76:383; Page, L. R.; Stocking, H. E.; Smith, H. B. (1956) Contributions to the geology of uranium and thorium by the United States Geological Survey and Atomic Energy Commission for the United Nations International Conference on Peaceful Uses of Atomic Energy, Geneva, Switzerland, 1955. USGS Professional Paper 300 pp371-374. U.S. Geological Survey, 2005, Mineral Resources Data System: U.S. Geological Survey, Reston, Virginia. ; Page, L. R.; Stocking, H. E.; Smith, H. B. (1956) Contributions to the geology of uranium and thorium by the United States Geological Survey and Atomic Energy Commission for the United Nations International Conference on Peaceful Uses of Atomic Energy, Geneva, Switzerland, 1955. USGS Professional Paper 300 pp361-370. Rocks & Minerals 76:384; U.S. Geological Survey, 2005, Mineral Resources Data System: U.S. Geological Survey, Reston, Virginia.